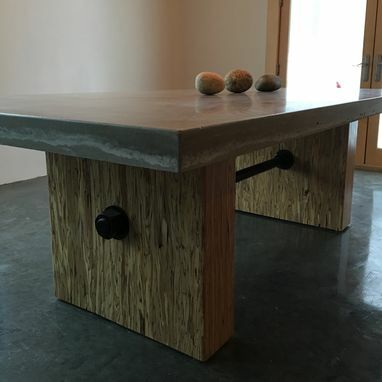 Custom Concrete, Steel & Wood Conference Table. 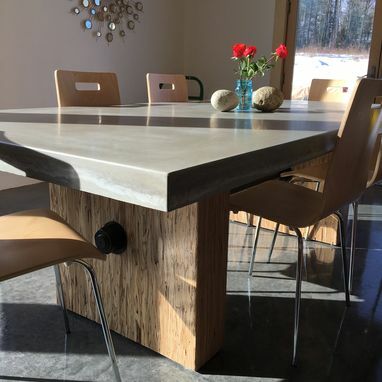 Custom Concrete, steel and wood dining & conference room tables. 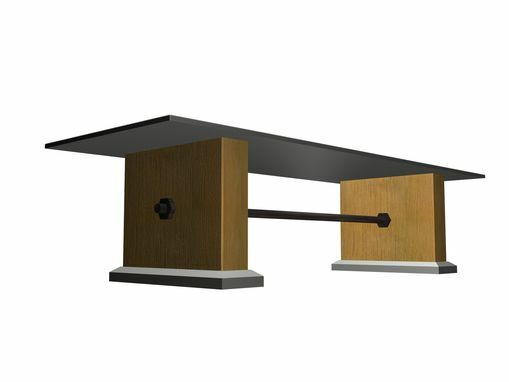 Tables are 46"x94" and 48"x120" These tables have a Custom concrete top - 2" steel rod stretcher with large nuts & washers that are powder coated in black. Large wood PSL legs sealed with a Polycrylic clear coat and adjustable chrome floor glides. 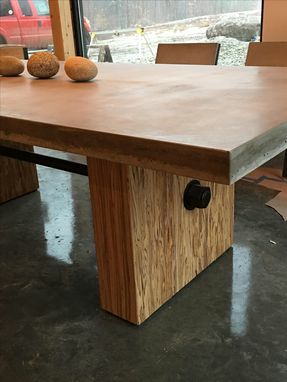 These urban industrial tables are an incredible piece for any board room or dining room. We can also create any custom piece with a combination of materials and custom sizes. Drop us a line with your ideas so we can provide a custom quote.